In his 2004 book The War for Muslim Minds, the French political analyst Gilles Kepel offered a stark review of the ongoing struggle to reconcile Islam with modernity. At the time of writing, the democratic project in Iraq was collapsing into escalating disorder and sectarian terror. More ominously, America’s inability to police the mayhem, the revelations of prisoner abuse at Abu Ghraib, and the failure to uncover the promised WMD stockpiles were not only damaging American credibility, but also the credibility of Western democratic ideals themselves. I have seen at first hand how this ideology has ripped families apart, turning daughters against mothers and sons against fathers. It has robbed kids of their childhood and their promising futures, and has even groomed teenagers to be killers. It has encouraged intolerance and the dehumanization of both non-Muslims and other Muslims, furthering sectarianism, acts of excommunication and even violence. 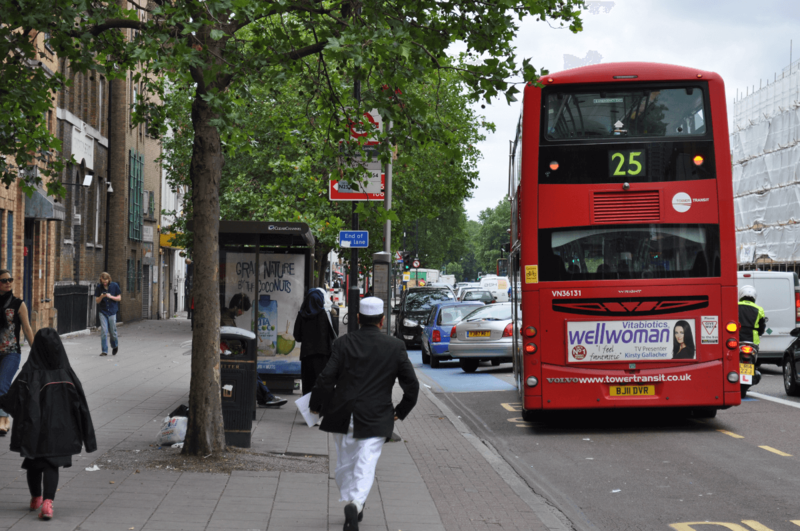 Islamist extremism provokes anti-Muslim hatred and creates polarized communities; yet despite the damage it causes, it continues to thrive among some Muslims in the UK. State and civil society measures designed to arrest this slide have been duly met with the expected opposition. Salafi traditionalists (advocating a return to 7th Century traditions and mores) and doctrinaire Islamists (promising a revolutionary and modern state-based totalitarianism) may have quarrelled throughout the 1990s, but neither was slow to understand the need to co-operate once the twin towers had come down. Given their easy agreement on things like the moral turpitude of the democratic West, fierce antipathy to the emancipation of women, the revulsion elicited by homosexuality, support for barbaric hudud punishments (conditions may vary) and blasphemy laws and so on, it is faintly amazing they didn’t get around to this sooner. But as Western governments brought greater scrutiny to bear on Islamic organizations, bookshops, preachers, websites, and mosques, the state of siege it produced among Islamic extremists of all stripes made co-operation inevitable. The British government’s response was to develop a four-part counter-extremism strategy known as CONTEST in 2003. Oddly, the most controversial part of this policy turned out to be the ‘Prevent’ strand which sought to identify and protect those at risk of radicalization before they were drawn into criminality. Long before Prevent was put on a statutory footing in 2015, Salafi-Islamists were already mounting a co-ordinated and cynical campaign of disinformation designed to re-describe a policy of protection and rescue as a sinister neo-McCarthyite plot designed to harass, persecute, and spy on embattled Muslims. The political Left, reflexively sympathetic to minorities no matter what they say or do, eagerly imbibed this scaremongering and then mindlessly regurgitated it into the pages of the Guardian and the Independent with very little resistance from a government apparently uneasy with defending its own policy. For Khan and other activists working on the ground, this has been exasperating. Khan concedes that the Prevent strategy is imperfect, but she is convinced of its necessity, protective of its reputation, and dismayed that the paranoid and conspiratorial Salafi-Islamist propaganda narrative has been allowed to trash a vital and frequently effective government initiative. Islamist activists posing as distraught parents tour TV studios peddling anguished tales of interrogation and surveillance of Muslim schoolchildren for the benefit of credulous news anchors and journalists. By the time such stories turn out to be lurid confections of exaggeration and fabrication, public interest and media sensation have moved on, leaving only sinister perceptions of state authoritarianism trailing in their wake. For Khan and the other liberal Muslim activists she profiles in a section devoted to what she calls “voices from the frontline”, the hostility of the Salafi-Islamist front was to be expected. As, to a lesser degree, was the hostility of the nativist far-right, which is ideologically disinclined to make distinctions between this Muslim or that one based upon what an individual believes. Enemies such as these come with the territory. But when Khan discusses the perverse and spiteful behavior of the political Left, the sense of betrayal is palpable. For the unreconstructed far-Left, the red-green socialist-Islamist alliance is a matter of cynicism and short-term expediency. The two parties have enemies in common (Israel, America, the wider West) and share an antipathy to capitalism and liberal democracy. This gruesome partnership between secular Marxists and theocratic fascists fared well during the war in Iraq when the two factions united to oppose the overthrow of Saddam Hussein. It has fared rather less well during the Assad regime’s ongoing pulverization of Sunni Muslims in Syria, where Islamist support for the Syrian rebellion has encountered the immovable object of the far-Left’s unreflective anti-Americanism. Nevertheless, shared areas of concern persist, and neither side can find a good word to say about someone like Khan who is reliably defamed as the pliable stooge of malevolent state power. Meanwhile, on university campuses across the country, the student Left has bound itself up into an incoherent knot over ‘Islamophobia’. From young radicals neurotically mesmerized by the taxonomy of identity and the hunt for this-or-that –phobia or –ism, one might expect an unequivocal rejection of Islamist politics and Salafi reaction. These are, after all, political groups who demand the veiling and subjugation of women, the stoning of adulteresses, the execution of homosexuals and apostates, and the mass-murder of Jews (or Zionists, depending upon how careful a given speaker decides to be). And yet, the sickly cultural relativism that has swallowed large parts of the Western Left whole has caused student radicals to wave away concerns about the Islamic far-right’s bottomless capacity for out-group hatred. Instead they have condescended to adopt Islamists as their wards, welcoming jihadist activists like Moazzam Begg onto campus to denounce the alleged injustice of Western foreign policy and counter-extremism measures, whilst stigmatizing human rights campaigners like Peter Tatchell and Iranian ex-Muslim Maryam Namazie with spurious allegations of bigotry and ‘Orientalism’. When Namazie was heckled and intimidated by Islamist activists during a presentation she gave at Goldsmith’s College in London, the university’s LGBT and Feminist societies both advertised their progressive credentials by releasing statements declaring their solidarity with her tormentors. When Arthur Miller wanted to critique Senator Joseph McCarthy and his cretins he did it by writing the amazing play, “The Crucible”. Why? It turns out that coming at a problem from an angle is a great way to get some perspective. FYI – the Puritans running Salem and who murdered 25 people for witchcraft, 19 of them by hanging, never recovered from that and had to change their name eventually to the Congregationalists but they were still too dictatorial and had to change it again to the name we all know now – The Unitarians!!! Humour is a tool that can always be used against obscurantism and dogmas of all stripes but especially religious ones. When a ridiculous idea is being served up to us we have the perfect right to ridicule it. Bad ideas do not deserve respect. Radical Islamic Jihad terrorism is a blight on humanity. Like Vaclav Havel I know we need to respect the transcendent in the sense that mankind is not the apex of the universe. Whether you make it Mother Nature or some kind of Being is your choice but for the love of Godot make it a peaceful and welcoming belief. Life is a great wonder – Tribalism, not so much. God has created diverse human beings to live in this tiny global village of one family. Creation by its very nature is diverse with different species, different communities, different cultures and languages. These differences represent the beauty and wonder but diversity is sometimes not fully appreciated, resulting in all sorts of clashes. Almighty God created all the races and put each person in the racial group He wanted them to be in. Each person should be thankful for where he or she was put and not be taught that some other race is “superior” and that if you refuse to believe that you are a “racist.” Let each race stand or fall on its own merits and quit all this cultural engineering, which is really cultural genocide. The British society and Establishment must learn to respect and accommodate others, as if in a family. A Muslim is a citizen of this tiny global village. The whole world belongs to Muslims. It does not mean that we are going to throw native Brits into English channel or force them to live in reservations like Red Indian. They are going to live side by side with the Muslims and with other minority communities. Why can’t each nationality and religion keep its own identity. The animal world can see it. Of the 40 species of sparrows they will not cross breed. This will keep the beauty of each bird. People should learn from them. There will never be an end to extremism and terrorism as long as Muslim children keep on attending state schools with non-Muslim teachers. Terrorism is terrorism and had nothing to do with religion. Some of us lived through the IRA terror of the 1970s but didn’t ask for the Catholic religion to be banished. The KKK, the Spanish Inquisition, all have religion at their heart. Have you forgotten about the crusaders? Who murdered people in large numbers on a daily basis for being unchristian or anyone that they do not approve of. The British establishment is wrong in thinking that Imams and Muslim schools are to blame for extremism. They are not the solution to the problem for extremism. Extremism is nothing to do with Imams and Muslim schools. Extremism is not created from abroad, it is coming from within. Britain fails to help Muslim communities feel part of British society. Race trouble is being predicted by the Daily Express, because of an ethnic boom in UK major cities. Muslim communities need imams for the solutions of their needs and demands in their own native languages. Muslim parents would like to see their children well versed in Standard English and to go for higher studies and research to serve humanity. The fact is that majority of Muslim children leave schools with low grades because monolingual teachers are not capable to teach Standard English to bilingual Muslim children. A Muslim is a citizen of this tiny global village. He/she does not want to become notoriously monolingual Brit. 7/7 bombers and all British Jihadis who are in Iraq and Syria are the product of British schooling. None of them were educated in a Muslim school. There will never be an end to extremism as long as Muslim children keep on attending your sinks schools with non-Muslim teachers. Muslim children need state funded Muslim schools with Muslim teachers as role models during their developmental periods. There is no place for non-Muslim child or a teacher in a Muslim school. I’m not sure how learning English will help stop extremism either, many of those who have carried out/plotted atrocities have been highly educated. Speaking English does not promote integration into British, American and Australian societies, and broaden opportunities. English speaking Muslim youths are angry, frustrated and extremist, thanks to state schools with monolingual non-Muslim teachers and English language. English language is not only a lingua franca but also lingua frankensteinia. Human right are also covers linguistic right. Cultural and linguistic genocide are very common. British schooling is murdering community languages like Arabic, Urdu and others. English is today the world killer language. Linguistic genocide is a crime against humanity and British schooling is guilty of committing this crime. Language is not just a language. It defines one’s culture, identity and consciousness. It defines how we think, communicate and express ourselves. The fact is the most South Asian Muslims have come to know Islam by way of Urdu, the children’s alienation from the language that connects them the heritage of their parents and grandparents is disturbing. As a matter of fact, one has to get to know his mother tongue well if one is to master any other language. Dropping bombs from 30 000 ft. on populations was always going to have repercussions eventually! The US police murders more innocent people every year than the Isis in Europe. Much more people murdered in the US by legal firearms than in Europe. Stop the mindless paranoia and focus on real issues. Imams and Masajid are not responsible for radicalisation. Leave them alone, get out of their countries, stop meddling into their political affairs, stop supporting their enemies, stop sucking up their resources, and they will stop retaliating. Simple really. The dehumanisation of every other culture except our own has to stop humanity has learnt nothing. It is one planet and we are one people. Peace and love to you. If Muslims were ‘slaughtering’ each other ‘on a massive scale for a millennia’ wouldn’t Islam be extinct by now? Instead it’s the fastest growing religion. Have you read the Wikileaks and the war crimes by USA and the west. They are not leaks by Muslims. In that it suggest war crimes by the USA and its allies. Now imagine if west didn’t kill millions of people for oil it’s not a secret anymore they have even apologised for Iraq. Funding isis in Syria, Gitmo, Palestine, by killing millions of innocent people don’t you think some will seek revenge? I don’t condone terrorism but I can see why they do it. Next PostWhat is a Sexist?